One piece body. 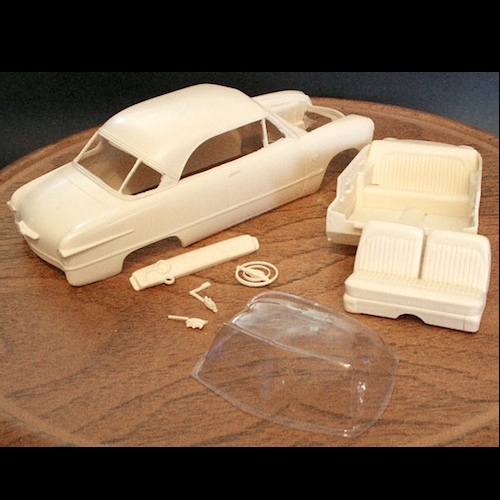 Includes bumpers, steering wheel, hubcaps, interior tub, seats, dash, and vacuum formed windshield. 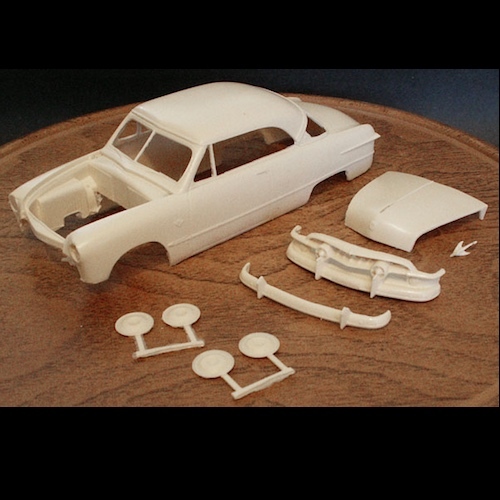 Use the AMT 19-50 Ford kit to complete.